This hard to find album features these two fine dobro / sho-bro players. 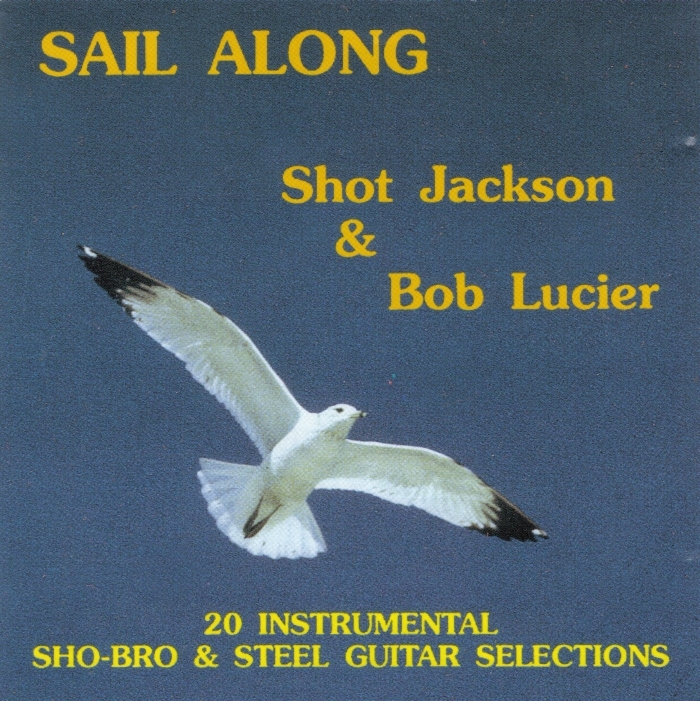 Various songs feature Bob Lucier on the Dual-16 String Sho-Bud. About Bob Lucier: Bobby Lucier has been a leader in steel guitar and is world renowned for his unique style and ability. Bob was the resident Steel Player for “The Tommy Hunter Show” while it aired on the CBC television network from the mid ’70’s until its demise. He was also the first steel guitarist with the famous Johnny Burke and Eastwind. Before that, he played in Bill Anderson’s “Po’ Boys band”, “Myers Brothers and the Jubilaires”, and a few others. Bob’s steel guitar playing appears on countless records over the years, with his session work. Of note, is Bob’s many records done with the world famous Canadian singer Ann Murray. I would like to see more of Bob Lucier on this page and more of his music. Much more is in the works. Thanks for visiting.